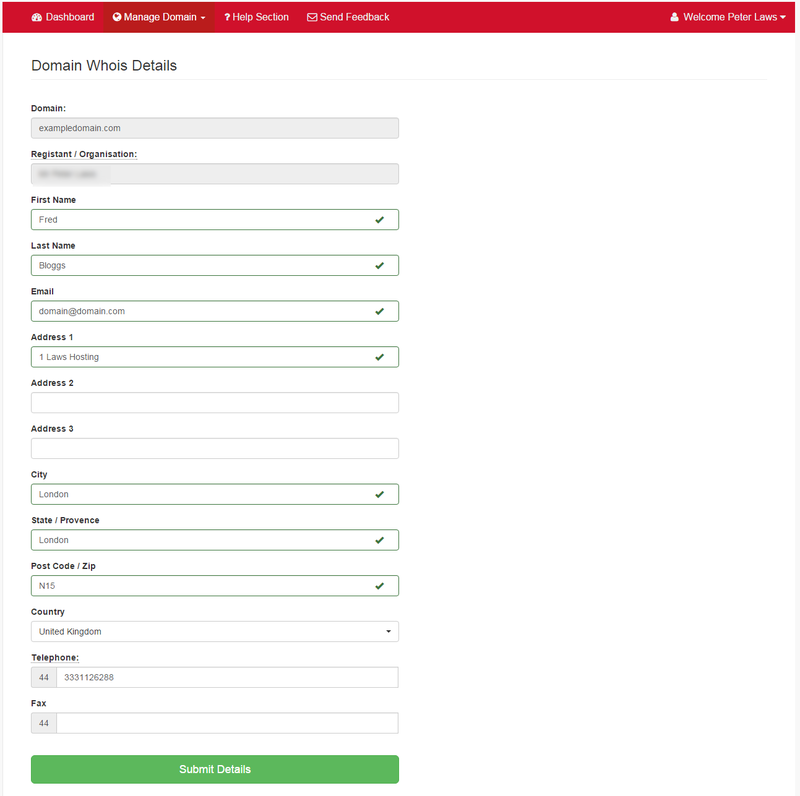 On this page lets you update the details associated with your domains. These details need to be correct at all times, and most fields are required. If it is a UK domain, the Whois details cannot be edited from our side, you will need to change it from within Nominet. We do apologise. When filling in your telephone and fax numbers, please leave off the zero at the start.